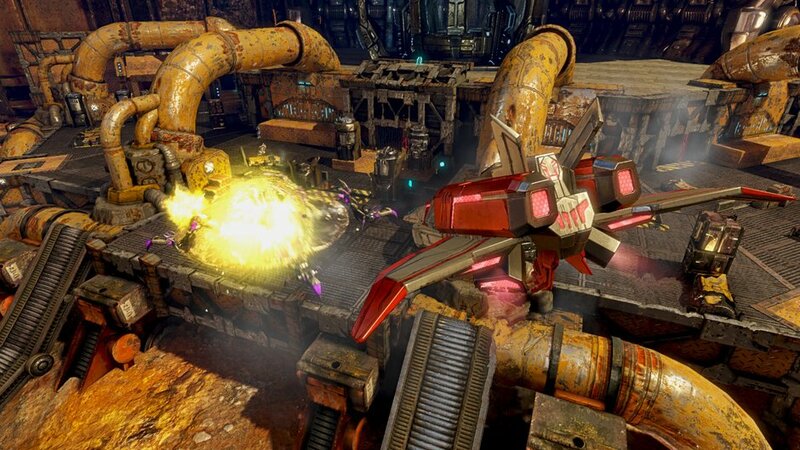 Transformers: Rise of the Dark Spark is a step back for the Transformers franchise, which is running low on steam in its current reincarnation. We explain why. Aside from 2004’s Transformers game on the PS2, Transformers games always received less than stellar reviews. This changed with War for Cybertron and Fall of Cybertron, which were both well-received and featured solid gameplay befitting the franchise. Large robots, massive amounts of destruction, and of course the ability to transform into a vehicle at the click of a button – it was all there, and it was all done well. Rise of the Dark Spark more or less continues the “Cybertron” series, though it drops the name. The game was also given to a different developer, with Edge of Reality taking over the reigns from High Moon Studios. Despite this switch, certain elements will still look, sound and feel more than a little familiar. Rise of the Dark Spark adds Dinosaur and Insect-inspired robots, but their role is (sadly) marginal at best. As a result, their inclusion feels somewhat like a last ditch effort to tie the game into the upcoming Transformers movie. Which is a shame, because the previous two games showed that the franchise can easily survive without referencing the movies. What Rise of the Dark Spark retains from the previous two games is their control scheme, which still works well for a Transformers game. You’ll also see plenty of artwork that was re-used, and level design that looks familiar though not as inspired as you’d like. This makes for a game that doesn’t improve on its source material, with dated visuals on the PS4 platform (even though they are more crisp than the PS3 version). 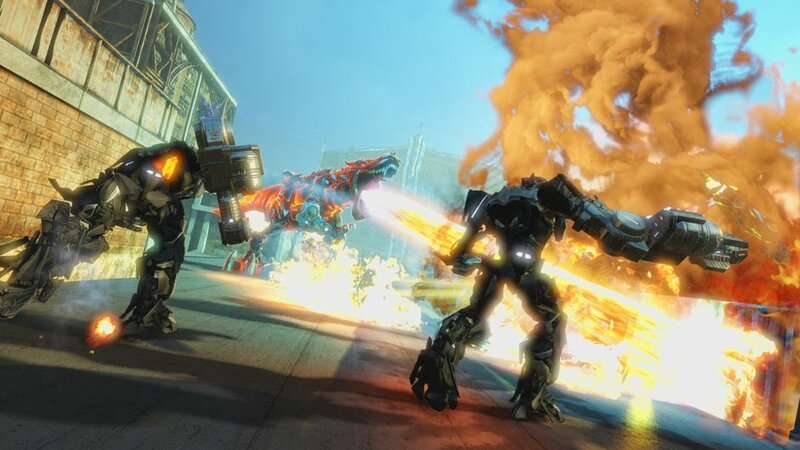 Appealing mostly to the loyal “Cybertron” fans, this isn’t the game that should draw new Transformers fans in. Instead, check out the previous games first if you fall into that category. If you’ve already played and enjoyed those, Rise of the Dark Spark is a serviceable game that won’t shock or surprise you but will offer you “more of the same”. This is a missed opportunity, and we’re hoping for a re-invention of the franchise the next time we see a Transformers title appear on the radar.